Oh Charlie! At first I thought you were crazy, now I feel as if you're not only crazy, but you just might be the warlock genius you claim to be! The quotes you have given us lately are amazing. I feel like I myself am "bi-winning"; I get an awesome quote here, and an awesome quote there. Charlie has totally stolen Chuck Norris' thunder, and I feel that before all is said and done Chuck might find Charlie and give him a swift roundhouse kick to the face and call it a day. Chuck was the only man I knew with fire breathing fists, and tiger blood. Now Charlie not only claims to have that he has taken it to the next level, he is according to himself a "drug"; "I'm on a drug, it's called Charlie Sheen. It's not available. If you try it once, you will die". Wow, he thinks pretty highly of his drug self, I guess that's why he was also quoted as saying, "I'm tired of pretending I'm not special". I'm tired of pretending you're not special too, Charlie. If only we could all be as productive as he claims to be; "I'm sorry man, I got magic and I've got poetry in my fingertips, you know, most of the time, and this includes naps". I love that he mentions naps, this cracks me up so completely; maybe because I can picture a little 5 year old saying the exact same thing on their little nap mat. Or, maybe I'm just jealous that he appears to get so much done. I don't even have time to take a nap, much less create poetry and magic while I sleep! 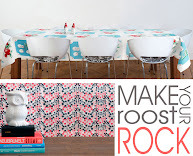 Even our beloved Etsy has jumped on the Sheen wagon, check out all of the goods they are offering here. Tonight, they are airing a special on VH1 with Celebrity Rehab's Dr. Drew "Charlie Sheen: Winning....or Losing it". 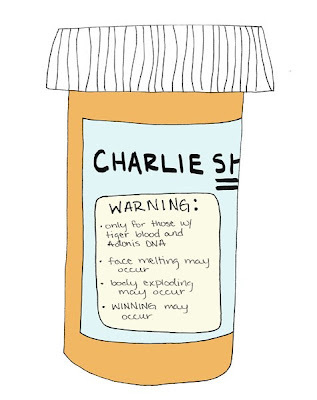 I don't know about you, but I think it would be the best season ever of Celebrity Rehab if Charlie signed up; who knows maybe Charlie would actually get some real help through it all and then we would all be "winning"! But then again according to Charlie, he blinked and cured himself, so why even go to that crazy little thing called rehab. I wish I could blink and cure my love of brownies, but I'm just an "earthworm" from this "terrestrial realm" there is no way I can harness Charlie's powers or even begin to understand them (maybe that's not such a bad thing after all).